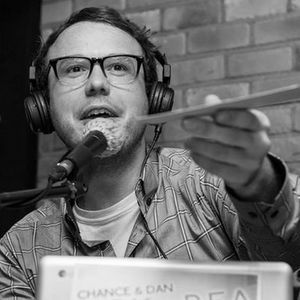 In Seoul’s Hongdae district, Colin talks with Chance Dorland, radio- and podcast-hosting expat in countries like Germany, Colombia, and now South Korea, currently of Groove magazine’s Groovecast, TBS eFM’s “Chance Encounters” segment, and Chance and Dan Do Korea. They discuss the one thing that unites Americans; the origins of his Korean podcasting career; whether people knew what the Peace Corps was after he got out of the Peace Corps; why he rejected both Los Angeles and New York; how he made peace with growing up in a small Iowa town, despite what he never got to learn there; mudding; what it felt like, growing up, to meet someone who had been to a major city; how he acquired a “fake family”; what, in adolescence, he somehow “knew” America had more of than any other country; the affliction that made class attendance difficult; when he realized Boston, where he went for college, doesn’t count as a big city; the enthusiasm for World War II that got him applying to go to Germany; the comparative lack of user-friendliness in major American cities; what he doesn’t have to deal with in Seoul; the simultaneous fall of traditional media and rise of new media; how Korea opened the opportunity to form band after band; the general low quality of so many people working in the American media; how he got out of English teaching and into radio; where his desire to work with poor people led him; why the Peace Corps lies, and how he wound up getting the wrong medication and a chronic disease in their time with them; where to find Korean food in Des Moines; why he wants to do radio “in a booth,” and why that may prove more attainable in Korea than elsewhere; how he started reporting for TBS eFM; the obstacles to getting a job as a foreigner with no Korean wife or Korean heritage; and how foreigner occupational diversity might benefit Korea. This was written by Colin Marshall. Posted on Saturday, January 3, 2015, at 8:17 am. Filed under Korea, Notebook on Cities and Culture, Seoul. Bookmark the permalink. Follow comments here with the RSS feed. Post a comment or leave a trackback.